The first thing you notice when you get your hands on the Scott Radian is that this rod is ascetically like nothing else on the market. The Radian is hand crafted in Montrose CO in a facility that puts out some of the most stunning fly rods on the market. The un-finished blank is dark gunmetal grey that’s accented with pale orange wraps creating a very unique and attractive rod. To add to the craftsmanship all Radians come with hand engraved lettering as well as fish measuring marks of 12” and 20”. The real seat has a burled box elder wood insert framed with black aluminum components that are definitely one of a kind. The slide band is locked in place (doesn’t rotate) and aligned perfectly with the foot hood to make reel placement and attachment quick and easy. Scott did a great job giving the Radian a mixture of class and style. Everyone has different taste when it comes to the looks of a fly rod but in my opinion the Radian is the best looking fly rod in production. It should go without saying, looks aren’t everything and when it’s all said and done performance is what really matters. Again, the Radian hits the mark. 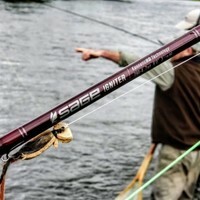 When the rod first came out, the marketing slogan was “Fast meets Feel”. I’m one to be skeptical to all things that sound too good to be true and on top of that it just sounded like a sales pitch. Well here I am writing a review about how the Radian puts out fast line speed while maintaining the connection to the rod. You can feel everything the rod is doing during your cast as well as throughout the drift. You can make those minor adjustments mid cast as well as feel those delicate subsurface eats that can elude even the most focused anglers. Scott incorporated their custom full wells grip that has a palm swell that feels great in the hand. This helps with accuracy as well as strike sensitivity. 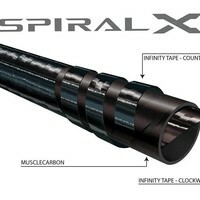 If you have larger hands you will love the feel of the Radian grip. Accuracy is easily transferred from cast to presentation and pin point placement is good at short range and unmatched at mid to long range. 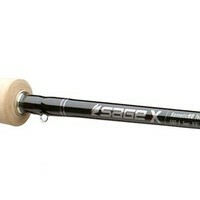 Tight loops are effortless and this rod will surprise even the best casters. It’s a rod that seems to read your mind. I’ve completely blown casts and to my surprise had my fly gently land right where I had planned. Whether it’s a roll cast or reach cast this rod will do it all with high marks. Once you get outside of 30ft it really starts to come alive. This rod is a cannon and if you fish in the wind or on large rivers it has all the power you could ever need. 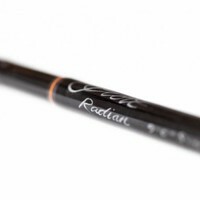 For waters where I fish, there aren’t many other rods I would choose that can do it all like the Radian. I’ve fished the 4wt with dries ranging from a size 20 BWOs to a size 4 salmon fly. It flat-out performs. My 5wt is my go to all around dry, dry dropper, and nymph rod. I have no problem delivering single dry flies accurately into the wind or turning over heavy high water nymph rigs in the spring. The 6wt might be the gem of the lineup. I love them all, but to me, this one feels like it all comes together in an absolute fish catching dream. Dry flies, nymphs, streamers, what else do you need? If you need a 6wt, in my opinion, this is the one. The 7wt is a streamer fishermen’s work horse. When you’re looking for that beast of burden to carry the heavy loads the 7wt is your mule. I also like that Scott keeps the blank unfinished. I think that by leaving the excess material on the blank it adds durability and can withstand a few split shot or conehead shots. 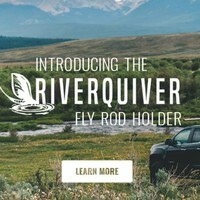 It may not be the perfect rod for spring creeks and 6x but for river and lake fishing in Southwestern Montana I can’t think of a rod I’d rather have in my quiver. 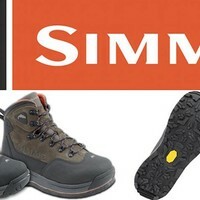 Power, feel, accuracy, durability, and made in the USA. There’s a reason in won the 2013 IFTD “Best of Show”. I’ve fished em’ all and I have to say this rod is an absolute fixture in the industry. 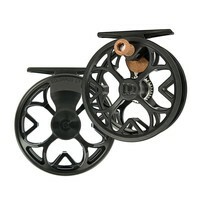 The Radian is offered in you full freshwater line up, 3wt-9wt. Whether its brook trout on a small Appalachian stream or Dorado fishing in Bolivia there’s a Radian for you. As I mentioned earlier, I love the 6wt here in SW Montana. If I had one trout rod, I’d probably go with the 6wt Radian. 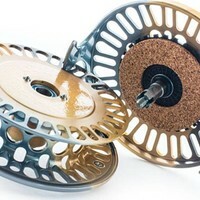 When it comes to reels, the Radian is a pretty light rod and going with a light reel is what I would recommend. I wouldn’t get too carried away but the Nautilus X Series is a good fit. Especially if you go with the larger end of the line weight spectrum. The extra line pickup is an advantage in certain scenarios as well. With Ross being neighbors to Scott going with the Ross Evolution R would be a good fit as well. The Radian is no doubt a fast action rod. With that being said I have fished standard WF fly lines on mine and it has performed well. 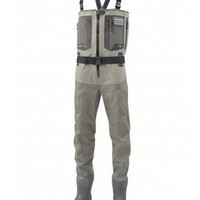 If you need that added delicate touch fishing the Scientific Anglers Amplitude Trout is great. I personally go with the ½ line heavy lines that will improve close range feel as well as performance in the wind. Ultra-soft presentation isn’t usually my biggest concern. Where I fish and how I fish is my main variable to keep in mind. 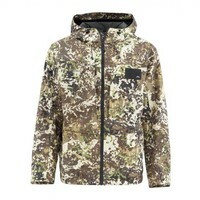 My favorite ½ line heavy line is the Scientific Anglers Amplitude MPX. I’ve also had great success with the AirFlo SuperDri Xceed.